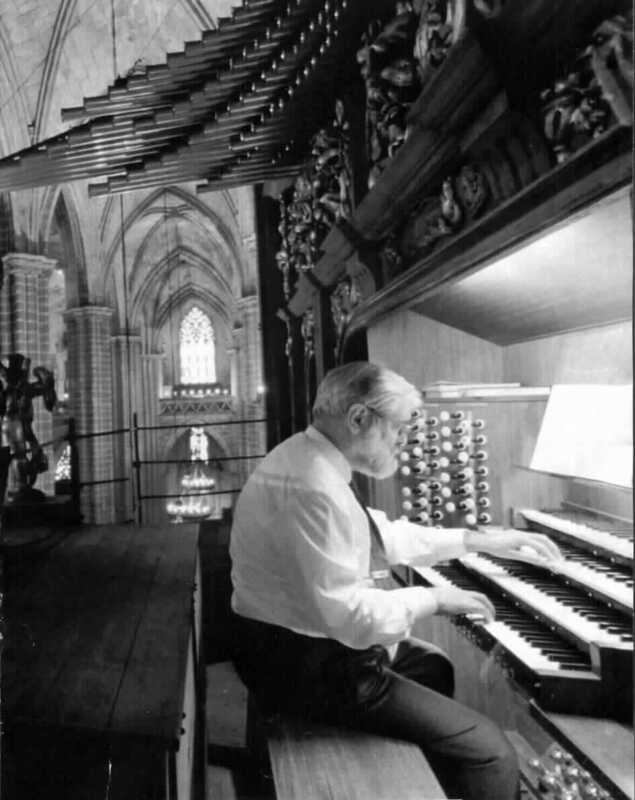 Born in 1929 in La Garriga in a family of musicians (son of Manuel Blancafort, composer and brother of Albert Blancafort, famous director of choir) Gabriel Blancafort received his training at the School of Sant Ignasi de Sarrià , and later at the Pontifical University of Comillas where he discovered his vocation for the organ. Under the advice of Mestres Paul Frank and Fr. Gregori Estrada began their first learning at the Rogent de Collbató workshop and later at the workshops of Gonzalez in Paris and Walcker in Ludwigsburg (Germany). 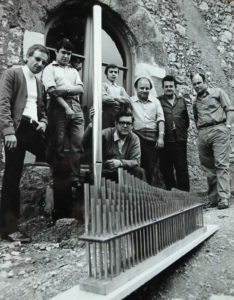 In 1963, he founded his own workshop with Joan Capella, from where more than one hundred new-style instruments emerged and thirty restorations of relevance to numerous temples such as the Cathedrals of Barcelona, ​​Mallorca, Menorca, Monasteries de Montserrat, Ripoll, Sanctuary of Torreciudad, Basíliques del Tibidabo, Mataró, numerous parochial churches such as Marbella, Puigcerdà, concert halls in Granada, Madrid as well as small instruments for choral groups and private addresses of organists. The most important contribution of Gabriel Blancafort, along with the organist Montserrat Torrent, has been the reconstruction of the organ scene, which is very damaged by the war and postwar period. Pioneer in the recovery of the Baroque mechanical and aesthetic traction instrument, Gabriel Blancafort restored the goldsmith trade in our country, forming a large part of the active professionals at the moment. He has contributed to the musicological study with numerous articles and lectures. He has been a founding member of the Catalan Society of Musicology, a founding member of the ISO (International Society of Organizers), a member of the Royal Academy of Sciences and Arts and Silver Medal for Artistic Merit in Fine Arts as well as other awards in recognition of his fruitful work.